HALT was excited to be back in Sydney recently to present to apprentices and staff from seven TAFE campuses. 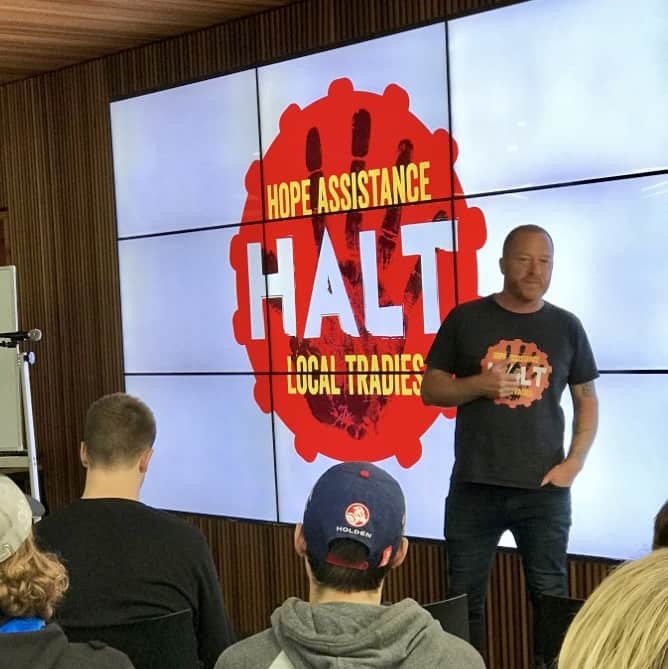 From Tuesday the 15th to Thursday the 17th of May, HALT spoke to almost a thousand staff and students at Ultimo, Hornsby, Randwick, Meadowbank, Northern Beaches, Gymea and St George TAFE campuses. A huge thank you to Rene Poulos and Graeme Logan for organising, facilitating and driving us around to all the campuses and being great company! No Comments to "HALT Sydney TAFE Tour"